A project to build a cycle track in Carlisle is more than £100,000 over budget, council bosses have admitted. In 2015, Carlisle City Council won a £650,000 grant from British Cycling, the sport's governing body, to help fund the £800,000 track at Harraby. It was due to open in September, but extra work was needed after part of the site failed load-bearing tests. 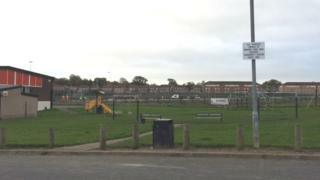 The ruling Labour Party said the extra £109,000 would come from reserves set aside for leisure projects. Work on the 1km track - the only one of its kind in the county - began in March, with the completion date now pushed back until November. Opposition Conservative councillors have called for the portfolio holder in charge of the project to resign, adding any additional funding should have been the subject of further consultation. The need for the extra money has been blamed on unforeseen technical problems and drainage issues arising from Storm Desmond in December 2015. But Gareth Ellis, deputy leader of the Tory group on the city council said: "Even when something seems like a good idea, it should not escape scrutiny. "It is a good idea to have these facilities here, but that doesn't mean it should be a bottomless pit." The council's Labour leader Colin Glover confirmed there would be no resignations over the delay. "This facility will contribute to the city," he said. "Anyone involved with construction projects will know that you often find things you weren't expecting at the beginning. "When the track is complete we will have a look at whether any problems could have been foreseen."